Louise Fitzhugh was born in Memphis, Tennessee in 1928, the daughter of an upper-crust father and a working class mother. Her parents divorced when she was an infant, and her father was awarded custody, although Fitzhugh lived with his parents until he remarried. Her childhood and youth appears to have been normally happy, but her forced separation from her mother, whom she was barely allowed to see, and the beliefs of her distant father, step-mother and grand-parents, left her with a deep understanding of children’s psyches and the disjuncture between what they truly need and what adults think is best for them. This insight became a major source for her art. After high school she attended several Southern colleges, then transferred to Bard College in New York State. This marked the end of her association with the South, as she became politically liberal, anti-racist, and began to discover herself as a lesbian; she saw these as incompatible with her Southern identity and trained herself to speak with a Northern accent. Fitzhugh studied literature, child psychology, and art, apparently never completing a degree. Moving to New York City, she began drawing and painting. A small inheritance from her grandmother allowed her to concentrate on her art. 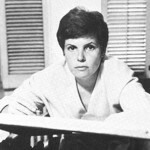 Her first published works were the illustrations to Sandra Scoppettone’s Suzuki Beane, a fanciful beat-era takeoff on the Eloise books (New York: Doubleday, 1961). 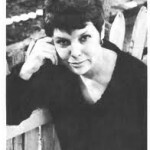 In 1964, her major work, Harriet the Spy (New York: Harper & Row, 1964) appeared, which she both wrote and illustrated. The book won both positive and negative reviews, and no major book awards, and became the subject of some controversy: some teachers, librarians and education experts felt it taught children to spy, endorsed lying, and featured unpleasant characters. However, it became a best-seller and has never been out of print. The sequel, The Long Secret (New York: Harper & Row, 1965), also sold well, and again courted controversy due to its treatment of menstruation, the first such treatment in a book intended for children and teens. Following several frustrating years in which Fitzhugh drafted but did not finish further children’s books, she again illustrated a text of Scoppettone’s, the Vietnam-era, anti-war book Bang Bang You’re Dead (New York: Harper & Row, 1969). Finally in 1974 her next book appeared. Nobody’s Family is Going to Change (New York: Farrar, Straus, 1974) was about to be released (one review had already appeared) when Fitzhugh died suddenly of a cerebral aneurysm. Early in her adult life Fitzhugh dated both men and women, but eventually became primarily attached to women. She had no single, lasting relationship but became part of a large group of friends, including gay and straight men and women, who were similarly artistically and politically inclined. After her father’s death, she was financially secure, which may have contributed to her smaller output in the last ten years of her life. Following her death, several books left in manuscript have been published (the series I Am Three, I Am Four and I Am Five; and the third book in the “Harriet” sequence, Sport). None of these have come close to achieving the acclaim or following among child readers of Harriet the Spy. There have also been rumours of some lost manuscripts, one of which, on a lesbian theme, was rejected by an agent because of its subject matter. Wolf, Virginia L. Louise Fitzhugh. (New York: Twayne, 1991). Esp. chapters 1 & 2. “Louise Fitzhugh I Dead at 46; ‘Harriet the Spy’ Author-Artist.” New York Times November 21, 1974: 50. Cook, Karen. “Regarding Harriet: Louise Comes in From the Cold.” Village Voice April 11, 1995: 12ff.